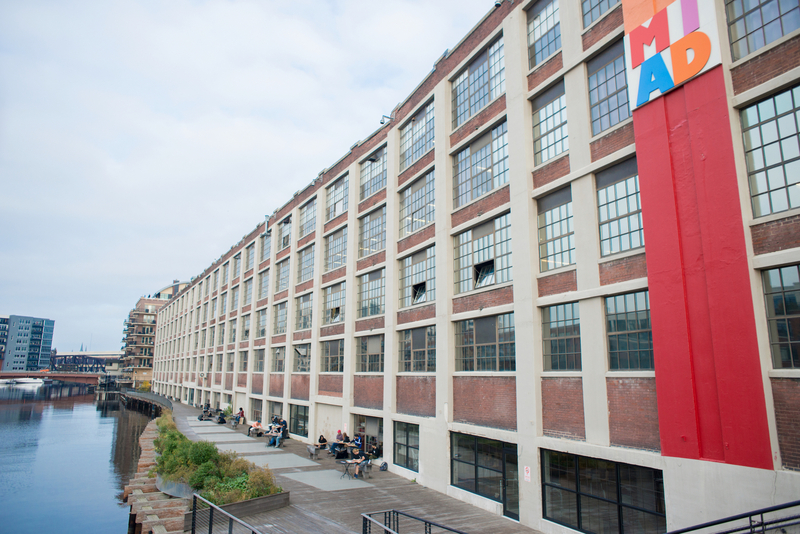 Founded in 1974, the Milwaukee Institute of Art and Design (MIAD), a successor college to the well-respected Layton School of Art, has become an academic anchor in the city’s redevelopment of its Historic Third Ward, once a gritty manufacturing district. MIAD’s academic enterprise offers a career-oriented education in the arts that focuses on the needs of local industrial and commercial employers. Access to professional careers through a four-year, Bachelor of Fine Arts degree is a driving force for a college in which 98% of MIAD’s roughly 700 students receive financial aid, 45% are federal Pell Grant eligible (low-income), and 33% identify as minorities. The North Central Association of Colleges and Schools (NCA) and National Association of Schools of Art & Design (NASAD) accredit MIAD, Wisconsin’s only independent, nonprofit college of art and design. At least one observer has noted MIAD’s role in “Milwaukee’s past and present economy, and more importantly, to its plans for the future.” To support its goal of matching students with employment, MIAD has cultivated business and curricular partnerships with institutions such as A.O. Smith, Kohler, Kohl’s, Master Lock, Fiskars, Harley-Davidson, Briggs & Stratton, Habitat for Humanity, Marquette University College of Engineering, and the Milwaukee Art Museum. 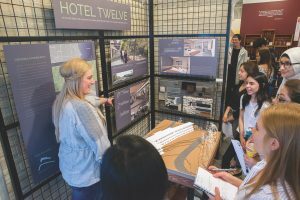 From the school’s perspective, partnerships have helped the college’s curriculum grow, enabling new offerings in Digital Media Production, Furniture Design, and Book Arts in 2016. MIAD’s business partners express appreciation for students’ creative perspectives on design. These alliances, coupled with the college’s Service Learning Program, keep MIAD students anchored to the greater Milwaukee community, with 80% choosing to use their professional skills in Wisconsin upon graduation. Other engagements with the greater Milwaukee community that draw thousands of viewers to the campus include the MIAD Creativity Series (founded by the Lubar family), the Frederick Layton Gallery, the Brooks Stevens Gallery of Industrial Design, and an annual Student/Alumni Art and Design Sale. The Senior Exhibition, the largest of its kind in the state, doubles as a spring hiring event. In addition, pre-College, Continuing Education, and Creative Educators Institute programs provide on- and offsite access to creative skills and career paths to more than 1,000 learners from middle school through adulthood. ^ Milwaukee Institute of Art & Design, Summary and Planning Report, College Student Inventory, Retention Management System, Ruffalo Noel Levitz, August 11, 2015. ^ Stuart Rosenfeld, “Re-Designing a Manufacturing Economy: The Milwaukee Institute of Art and Design and the Regional Economy,” Organization for Economic Cooperation and Development, Local Economic and Employment Programme, Chapel Hill, NC, May 25, 2013. ^ Judd Lord, MIAD Industrial Design Brochure, February 2009. ^ Strategic National Arts Alumni Project (SNAAP) Institutional Report 2011, Indiana University Center for Postsecondary Research, Bloomington, IN, April 23, 2012. ^ Compiled from comparison of graduating exhibitors in art and design classes statewide.